All of our hoodies and tees are custom made with your design or text. By using our designer tool, you can upload your logo or add text to make your one of kind design custom hoodie or custom tee shirt so that you can stand out from the crowd. Get amazing volume discounts every day. You can save up to 45% when you order more than one hoodie. We take pride in what we do and that is part of the reason why we make your custom tees and hoodies using the latest technology in custom apparel. Our team has over 20 years of combined experience in the custom apparel industry so you can order with confidence. We don’t have any minimum order quantities. 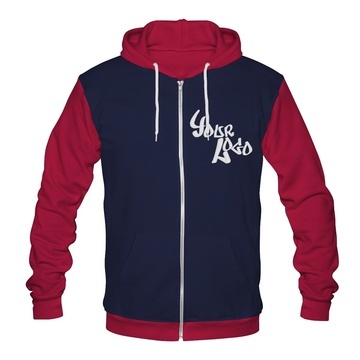 That means that you can order as few or as many hoodies as you like. Other companies charge hefty fees that made it impossible to do this, we are changing the game. Making custom apparel takes more time because we need to ensure that your logo, design or lettering is customized with the highest attention to detail. We are the fastest custom apparel company, since it only takes a few days for us to produce and ship your order. We also keep you informed throughout the process so you know when to expect your order. We ship to over 50 countries worldwide with standard tracking and express shipping options.